Scrap learning - learning which is successfully delivered but not applied on the job - comes with high costs. When your employees can't put what they've learned into practice, you've wasted effort, time, and money. 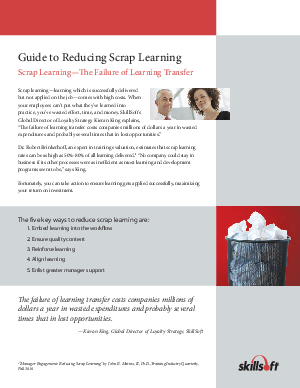 Download this free whitepaper to learn how you can reduce scrap learning within your organization.